As you may know, I recently accepted challenges that life, the universe, and everything wanted to throw at me. I’m still wishing for a stunt double or minions to help me out from time to time. So in the process of not having stunt doubles to help me with recent challenges, I’ve let Mermaids Don’t Do Windows grow really, really quiet. I’m so sorry to disappear like that. My promise to post something every third day (hey, it’s a schedule of sorts) got tossed out the window while life, the universe, and everything came in. Yeah, I signed up for NaNoWriMo–the challenge to write 50,000 words in November. 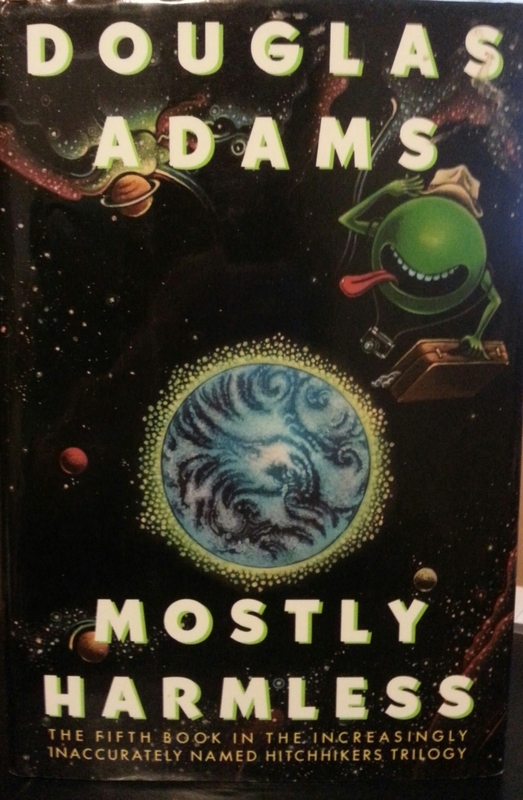 Mostly harmless. Whatever. Spam is definitely annoying. And the answer is 42. Sorry, I couldn’t resist after things started sounding like references to Douglas Adams’s Hitchhiker’s Guide to the Galaxy books. If you’ve never read the trilogy that has more than three books, you should. I even managed a few loads of laundry AND discovered a leak in my washer. Oh, yes….there’s a hole in the bucket, well, the boot, actually. Don’t worry. I’ll explain soon when we fix that hole. Because, yeah, we’re gonna do it ourselves. I think the washer felt left out after the dryer got its very own repair post. You must know that I’m not complaining. Seriously, I’m not. In fact, I’m taking on more schtuff that’s mostly harmless. What’s even more twisted is that I wouldn’t have it any other way.